This Rising Voices Summit cartoon is by Ashley Curtis, a teen who won the library’s Worlds of Imagination Art Contest. 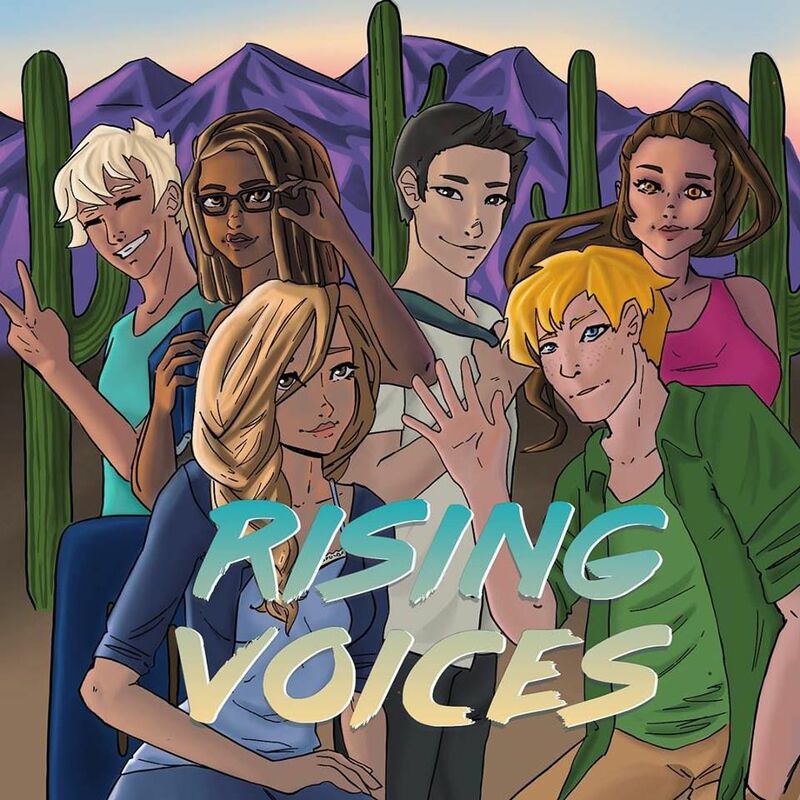 Tucson-area youth will have an opportunity to learn, network and have their voices heard as part of the Pima County Public Library’s Rising Voice Summit. The event will be held Saturday, April 13. The summit began in 2013 when the library began designing a youth media space, said library associate Amelia Marsh. With the space came the Rising Voice Summit, a chance for youth from ages 12 to 20 to discuss and strategize solutions for issues concerning the community. Previous summits covered politics, mental-health care and reproductive health, among other topics. Attendees will listen to presentations from the Metropolitan Education Commission Youth Advisory Council and various library teen advisory boards. The presenters will share their experience with projects regarding education, the environment, gun control and more. Marsh said getting youth involved is particularly important. Those who attend the event will take an assessment identifying their strengths and how to use them as a leader. Attendees will receive a certificate, a chance to network with community leaders and organizations, and can provide input to the library on resources that would best help youth in the community. Ashley Fredde is a UA journalism student and an apprentice at the Star. When: April 13, 10 a.m. to 1 p.m.
Where: Flowing Wells Library, 1730 W. Wetmore Rd.